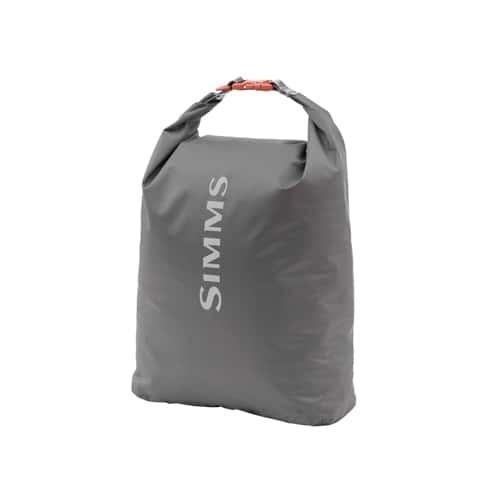 The Simms Dry Creek fishing dry storage bag built with fabric tech 210D TPU coated nylon & taped seams. Featuring a waterproof roll top bag to keep your items dry from wet weather; however, do not submerge this bag as the contents may get wet. This small sized dry bag is sized to store smaller, yet critical gear. CAPACITY: 10 L, 610 cu. in.